Today, stores offer a rich selection of variety of items. But much nicer to not just go and choose one or the other change for the home but do it with your hands. 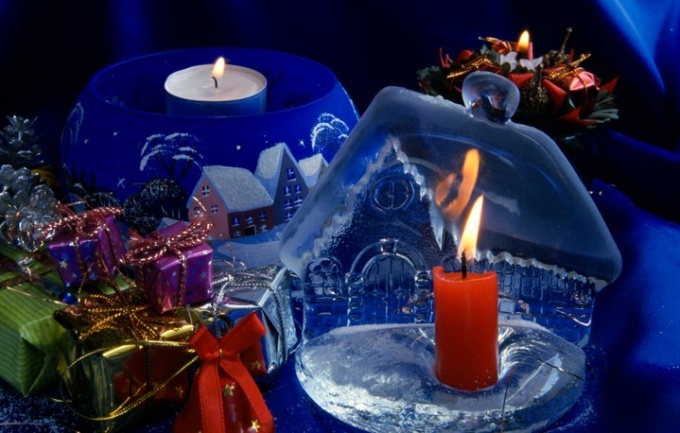 Moreover, it is not always this requires a serious effort, just to make a candle out of soap, can almost everyone. Take a piece of ordinary household soap and astrogate away any chips. You'll need about half of a piece of standard size. Prepare a small metal container - a bowl or even a tin can, and put the resulting "sawdust". Fill the basin with water so that it covers the chips and do the water bath. For this jar or bowl place in a pan with water so that it does not touch the bottom, and the water reaches to about her mid. Turn on medium heat and watch the dissolution process soap. Periodically stir it with a wooden spoon or a stick to get the reaction to go faster. At the end turn off the heat and start to pour into the container of vinegar. On the surface appear stearin is a thick mass of white. Wait until the mass has cooled, and spoon collect all the resulting stearin. A few times wash it, then wrap it with a cloth and wait until dry. Now you can begin to direct the process of making candles. Heat the wax so that it slightly melted, and dip into it the prepared wick. Allow to harden. Repeat the process and again allow to harden. Keep doing the sequence until you get a candle the volume. Take the decorative form, if you want to get a custom candle. It can be made from any material – wood, metal. Impregnated with stearin wick put in a container so that it fell in the middle, and then pour the hot tallow. Soon your candle will be completely ready! Try to do the opposite: make soap from the broken pieces of stearin candles. Again, use the water bath, but this time in the molten mixture, add concentrated solution of washing soda. Wait a few minutes and then pour the resulting liquid in form. When it hardens, you'll be able to check how well it performs its functions your soap.